I just love this cover!! The first in an exciting new series by acclaimed author Jenny Kane writing as Jennifer Ash. When craftsman’s daughter Mathilda is kidnapped by the notorious Folville brothers, as punishment for her father’s debts, she fears for her life. Although of noble birth, the Folvilles are infamous throughout the county for disregarding the law – and for using any means necessary to deliver their brand of ‘justice’. 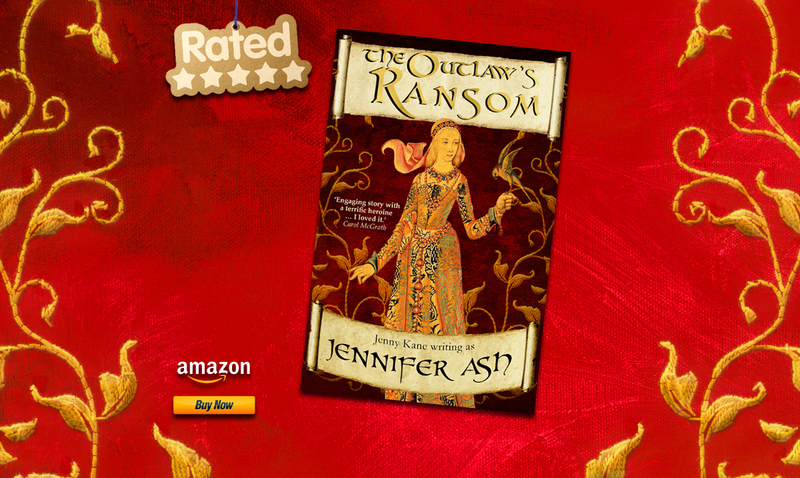 A thrilling tale of medieval mystery and romance – and with a nod to the tales of Robin Hood – The Outlaw’s Ransom is perfect for fans of C.J. Sansom and Jean Plaidy. 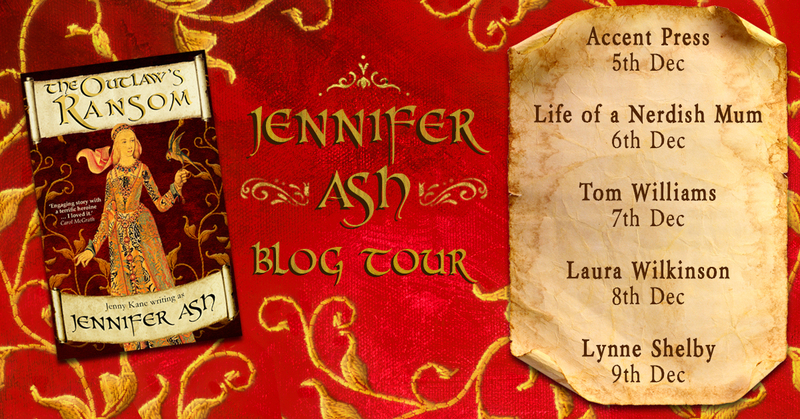 To mark the occasion I’m going on a blog tour- starting today!! 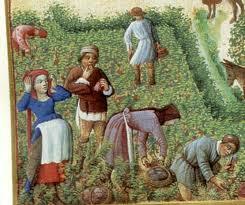 Do drop by and say hello to get some insights into my medieval mystery and romance. I’m off to have a celebratory coffee and watch an episode of Robin of Sherwood! !